Enjoy the natural antioxidant protection and support of Lyc-O-Mato Tomato Lycopene Complex from Healthy Origins. 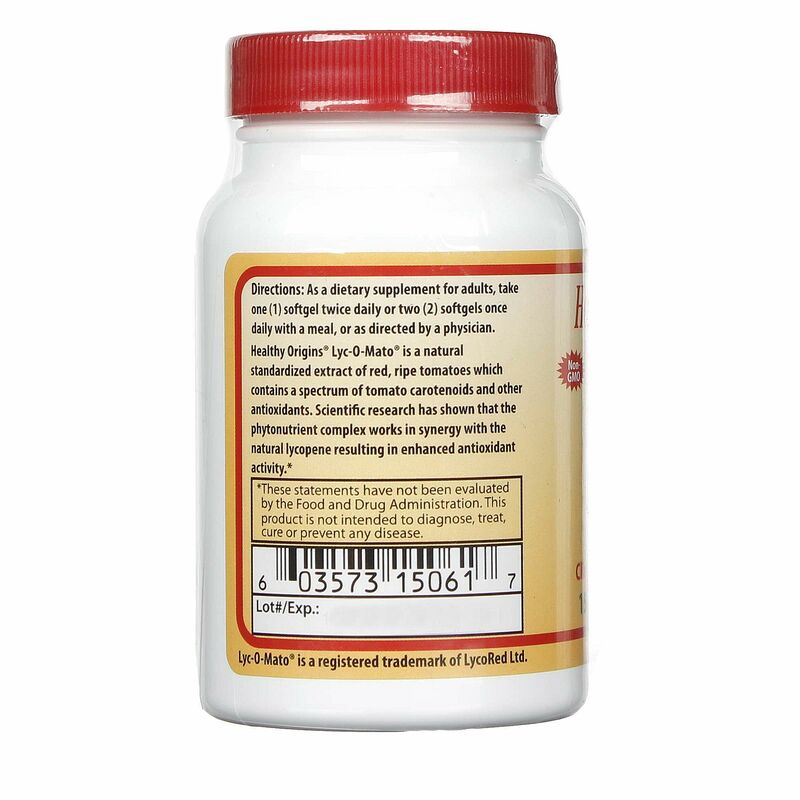 This product contains 15 mg of lycopene, vitamins E and A along with other nutrients. 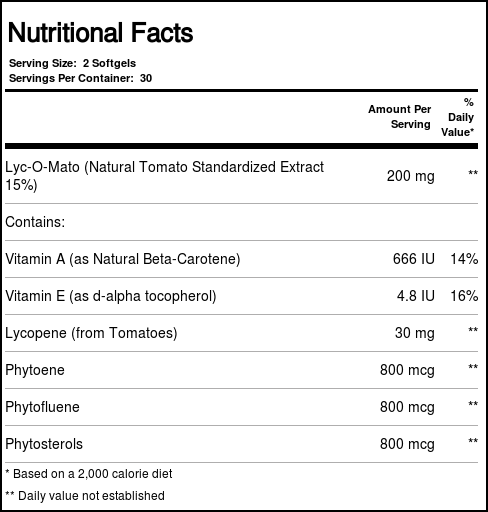 Lyc-O-Mato Tomato Lycopene Complex from Healthy Origins utilizes the power of lycopene from red, ripe tomatoes and tomato carotenoids to contribute to boosting many aspects of your health. This product is soy-free and non-GMO, so you can rest assured you're taking a safe, high-quality product. 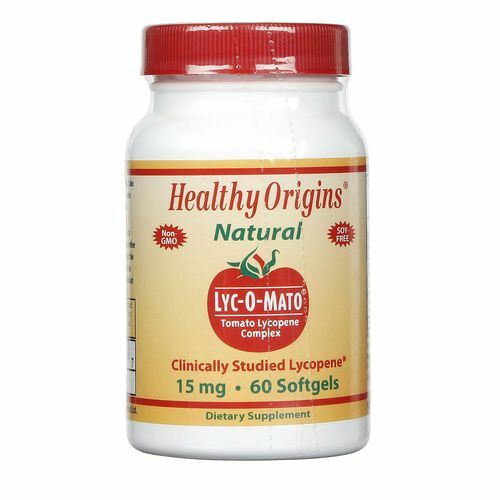 Lyc-O-Mato Tomato Lycopene Complex from Healthy Origins can provide you with antioxidant and phytonutrient support to help you to boost your overall health. Get yours today for a great price! Notes: Contains no sugar, salt, starch, yeast, wheat, gluten, soy, corn, barley, fish/shellfish, nuts/tree nuts, egg or dairy. 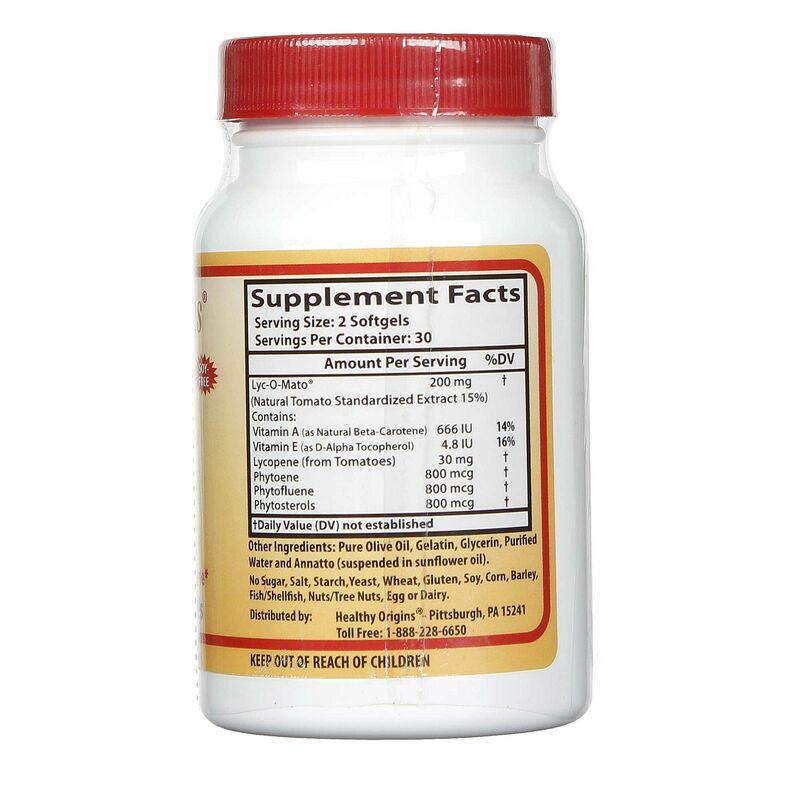 Recommended Use: As a dietary supplement for adults, take 1 softgel twice daily or 2 softgels once daily with a meal, or as directed by a physician.